Well howdy y’all! Welcome to the Souplantation! We sure wasn’t expecting no visitors, but since y’all’s here, we might as well sit for a spell and have a bowl of my grandpappy’s famous corn chowder. We grew it ourselves right in them soup fields over yonder. Now that you’ve got your soup, how’s about a little suppertime entertainment? Our good friends Nathan and Caldwell have prepared a humdinger of a performance for y’all. They even invited their good friend Pat Cassels (A city boy what writes ... Más informaciones for that Samantha Bee program) to help out with their japes. So unbuckle your belt, grab an extra bread bowl, and get ready for a souper-sized spoonful of hilarious hi-jinks and hootenanny! 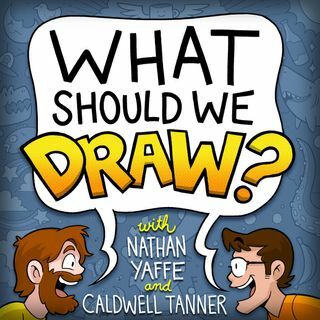 And to send a drawing suggestion, email us at WSWDShow@gmail.com!